On behalf of the Portuguese Minister of Science, Technology and Higher Education, Manuel Heitor, the INL Director-General, Lars Montelius, invites you to a debate on “Building Digital Ecosystems for Innovation, Industrial Competitiveness and Convergence”, included in the visit to Portugal of Khalil Rouhana Deputy Director-General for Communication Networks, Content and Technology (DG Connect). 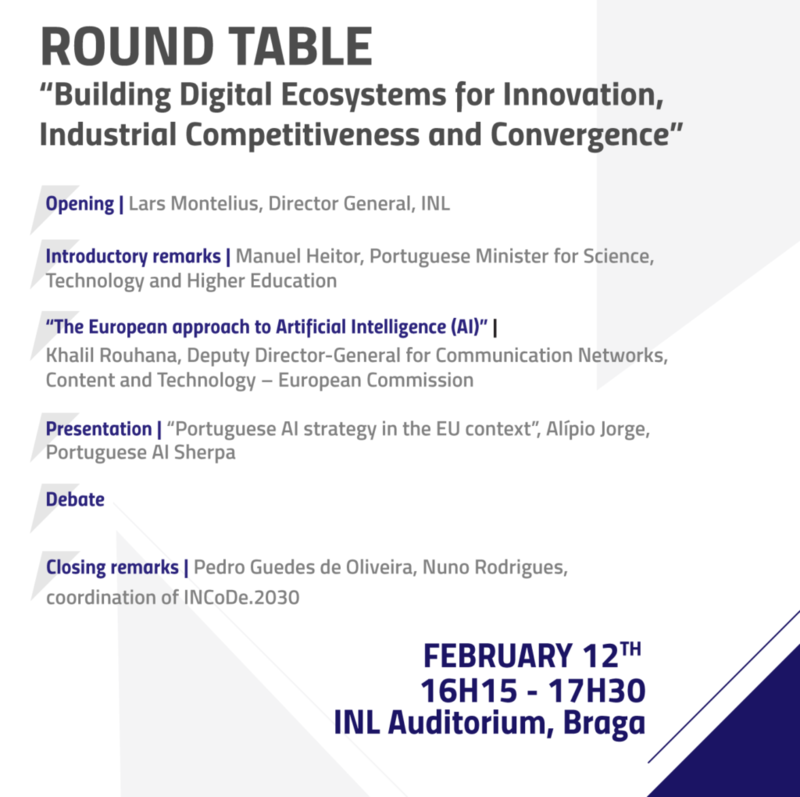 This event includes the discussion about the Portuguese National Strategy for Artificial Intelligence, “AI Portugal 2030”, in preparation of the National Initiative for Digital Skills, INCoDe.2030. The event is free but with mandatory registration here. We count on your participation, and we look forward to seeing you there.